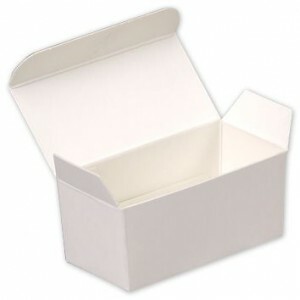 Small white ballotin boxes filled with fudge are great gifts. Making homemade candy is an art that isn’t nearly as scary in reality as you might think. Like all cooking, it is a learned skill that can be honed with practice. And the results? Yummy! Use ballotin candy boxes which are perfect for gifts for all your friends. My Christmas agenda for many years has included a list of homemade candies that I pass on to my friends with pride. The legacy is enriched by memories of a dear friend, now departed, who taught me some of the tricks of candy-making. Gladly I share with you so you can build a legacy of your own. 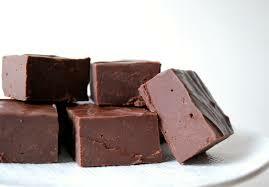 Fill your ballotin candy boxes with homemade fudge. Pour the syrup into a bowl. Add two tablespoons of butter and a teaspoon of vanilla. 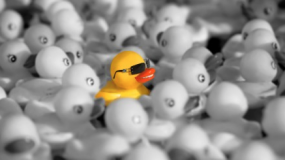 Let cool until lukewarm (110 degrees). Beat until it begins to lose its gloss. Add ½ cup walnuts if desired. Pour onto a buttered surface to set. Stir together in a heavy frying pan. Cook until the sugar is fully melted and the syrup is frothy. Add 1 2/3 cubes of butter and continue cooking until the syrup begins to turn light brown. Add 1 ½ cups of raw Spanish peanuts at 280 degrees and continue cooking, stirring occasionally, until the syrup is a good tan color, (hard crack stage or 305 Degrees on a candy thermometer). Be careful of overcooking at this stage. When it gets this hot, the syrup tends to over-brown quickly. Remove from heat. Add 1 teaspoon of baking soda and stir. The syrup will become “airy,” making a nice crunchy candy. Pour onto a buttered, flat surface. Now you’re ready for that attractive box that will make your homemade candies the perfect gift for any occasion.